Yes, cross country skiing is a “siblings’ sport”. You all have heard about, read and watched on the trail the trio of Northug brothers, Kerttu and Iivo Niskanen, Dario and Gianluca Cologna – the list goes on. Today we take a look at the less known – but up-and-coming siblings in our sport. Anna and Karl-Johan Dyvik (24 and 23 y.o. ), Sweden. Initially, it was Karl-Johan, who has shown more promise on the trail, attracting attention of the Sveriges trupp management. However, it was Anna who twice won U23-championship, took part in Lahti-2017 and now prepares for Olympic season in the A-trupp Sverige. Jennie, Simon and Filip Oeberg (28, 23, 17 y.o. ), Sweden. Skiing is a totally family business for the Oebergs – their father Lars was the head coach of Swedish National Team in season 2012/13. Jennie’s boyfriend Calle Halfvarsson is in the A- team as well. Petr and Anastasia Sedov (27, 22 y.o. ), Russia. Petr was a golden boy of the Russian skiing, winning a whopping 5 Junior World championship titles back in 2008-09. Alas, he’s yet to find his mojo at the senior level after overcoming some health problems. Anastasia had to grow in a shadow of her brother’s early fame – however, it is her now who is seen a stronger contender for the medals in PyeongChang. Lotta and Tiril Weng (21 y.o. ), Norway. Twins Lotta and Tiril ( and do not forget about their cousin Heidi Weng!) 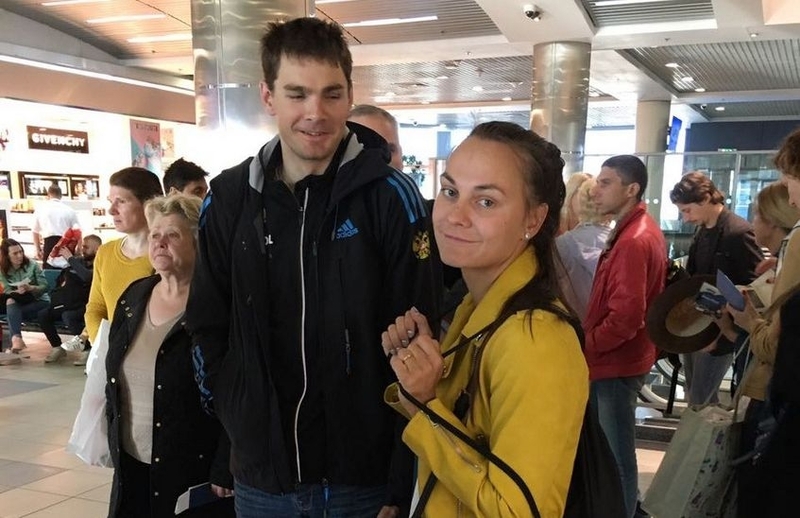 are, likely, the most promising siblings couple on the world cross country skiing circuit right now. Lotta is both JWC and U23 world champion. Tiril is ‘just’ JWC gold medalist – but she also got silver at U23 this year. Them being identical twins, it’s almost impossible to tell the two apart (Hint: Tiril never races without her ‘lucky’ blue buff in the winter. But nothing so obvious in the summer, alas). Lovise and Johanne Heimdal (22, 19 y.o. ), Norway. Lovise already got through the toughest selection on the planet and was included into the Norwegian team at the World Cup event. Johanne is still cutting her teeth, participating in junior races at home. We can’t wait for the sisters from Bardu to start appearing more often on TV screen. Photo courtesy of: instagram.com/loveseheimdal, Russian Ski Association.